The North Carolina Rare Disease Advisory Council is calling on state residents to join in celebrating Rare Disease Day at the end of February. Rare Disease Day is an international awareness event drawing attention to the more than 7,000 rare diseases in the world and raising awareness among policy makers, public authorities, industry representatives, researchers, health professionals and anyone else who has a genuine interest in rare diseases. 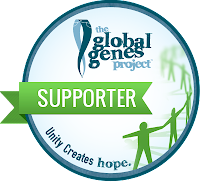 In support of rare diseases, Gov. Roy Cooper has proclaimed Feb. 28 as Rare Disease Day in North Carolina. North Carolina has established itself as a leader in the improving the lives of rare diseases by creating an unique collaborative partnership between patients, providers, scientists, agencies and industry. The state General Assembly passed House Bill 823 establishing the Advisory Council on Rare Diseases housed within the School of Medicine at UNC Chapel Hill in 2015. The council’s role is to advise the Governor, the Secretary, and the General Assembly on research, diagnosis, treatment, and education relating to rare diseases. In the U.S., a disease is defined as rare when it affects fewer than 200,000 Americans at any given time, according to the National Organization for Rare Disorders. Approximately 30 million patients — 1 in 10 people — live with a rare disease. “As the mother of a child who died from a rare disease, I know a disease doesn’t feel rare when it happens to your child and your family,” said Leisa Greathouse, of Fayetteville, a member of the N.C. Rare Disease Coalition, a group of rare disease advocates including patients and caregivers that plays a supporting role to the state's Advisory Council. Greathouse's son, Samuel, was diagnosed with Langerhans cell histiocytosis at UNC Children's Hospital before he was a year old. Samuel underwent chemotherapy because it is one of the few indicated treatments for the disease, and most of his life was spent in the hospital. He had approximately 100 blood transfusions, nearly 200 X-rays, and 4 surgeries before passing away at age two. Some rare diseases — like cystic fibrosis, Lou Gehrig’s and multiple sclerosis — are more familiar to the general public than other rare diseases. Approximately 50 percent of people with cancer have a rare type of cancer including brain, pancreatic, ovarian, thyroid and stomach cancers and all pediatric cancers. Many rare diseases result in premature death for infants and young children or become progressively debilitating and lead to fatality in early adulthood. “After our son’s death, we began learning as much as we could and raising awareness so that we could help support other families and contribute to research,” said John Rista, of Charlotte, also a member of the N.C. Rare Disease Advisory Coalition. Rista’s son, Johnny, was diagnosed with alveolar capillary dysplasia and died when he was 12 days old. The disease causes blood vessel malformations in the lungs, typically leading to pulmonary hypertension and infant fatality in almost every occurrence. In Charlotte, a teal, pink, green and purple beacon will shine from a recognizable landmark on the city's skyline Feb. 26, as Wells Fargo’s Duke Energy Center lights up in recognition of Rare Disease Day. The colors evoke the logo for Rare Disease Day. The North Carolina Rare Disease Advisory Coalition requested the light display at the Wells Fargo’s Duke Energy Center in order to raise awareness and spark interest in North Carolina's residents involvement in the day. Fibromuscular dysplasia is a complex disease most commonly seen in women and typically discovered when the patient is between the ages of 20 and 60 years old. Patients may be asymptomatic and achieve diagnosis only upon an incidental finding, or patients may suffer serious and debilitating events, depending on the severity of their disease. Symptoms may include stenosis, aneurysm or dissection most commonly in the renal and carotid arteries, migraine-like headaches, dizziness, and tinnitus or a swooshing sound in the ears. Over five years, Kucharski underwent triple bypass surgery, a nephrectomy, and brain aneurysm repair in addition to suffering a stroke at 27 and a gastric rupture at 30. Despite rare diseases’ prevalence, rare disease patients often struggle to achieve diagnosis and treatment. 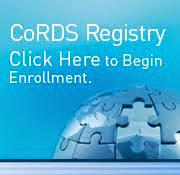 The average time for diagnosis is 7.2 years, and only 5 percent of rare diseases have treatments. As a whole, there are more people who live with a rare disease than all those diagnosed with HIV, heart attack or stroke. King’s daughter Taylor was a bright and lively girl with the hopes of being a pop star or veterinarian when she was diagnosed with Batten disease at age 7. A neurodegenerative disorder in which symptoms begin to appear when a child is 2 to 10 years old, Batten disease symptoms include vision loss, loss of speech and motor skills, mental impairment, and seizures that become increasingly debilitating and eventually lead to death. Now 18, Taylor requires 24-hour care. King was a driving force behind the creation of the state-established Advisory Council, on which she serves as the patient representative, and is chair of the N.C. Rare Disease Coalition. “I know all too well the cost of rare disease both in terms of human suffering and economic impact,” King said. For more information about Rare Disease Day and ways to participate, visit rarediseaseday.org. To learn more about the N.C. Rare Disease Advisory Council, visit med.unc.edu/ncrarediseasenetwork. North Carolina’s rare disease patients and family members are encouraged to connect with the N.C. Rare Disease Advisory Coalition at facebook.com/ncrarediseasecoalition and @ncraredisease on Twitter. It's Rare Disease Week in Washington! 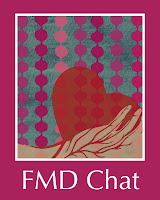 The world marks Rare Disease Day on Feb. 29, 2016 and fibromuscular dysplasia patients will be in Washington, D.C. to increase awareness of the disease and policies impacting the rare community. Rare Disease Week on Capitol Hill brings rare disease community members from across the country together to be educated on federal legislative issues, meet other advocates, and share their unique stories with legislators. You can join in as a supporter! On Monday, advocates and members of the general public are invited to join the National Center for Advancing Translational Sciences and the National Institutes of Health (NIH) Clinical Center, for presentations, posters and exhibits, an art show, and tours. The event is free, and a live webcast will be available for those who can not attend in person. Tuesday brings Rare Disease Legislative Advocate's conference. Advocates from across the United States join together to review critical legislation and practice effectively communicating with Congressional representatives and their aides. Sarah E. Kucharski, FMD Chat founder and CEO, will play an advocate actress in an on-stage simulation to train fellow advocates how to — and not to — engage with Congressional representatives. In addition, she will serve as a team leader this year, helping guide advocates new to the lobbying process. On Wednesday, advocates will set out upon The Hill for meetings. Due to time constraints and scheduling demands, meetings tend to be brief, and advocates do not learn of their meeting schedule until the day before or even morning of the lobbying day. Advocates represent their geographic locations and are strategically paired to assist one another. Those who are unable to attend in person, are encouraged to learn more about RDLA's state level advocacy programs. The Rare Disease Caucus Briefing and Rare Artist Reception conclude Rare Disease Week’s legislative activities on The Hill on Thursday. Follow FMD Chat on Facebook and Twitter for updates from D.C.